Johannesburg, Friday, 26 February 2016 – U.S born hip hop artist now based in SA, FIELD DVY, is set to headline his first SA concert tonight, Friday, 26 February 2016, at the Olive Convention Centre in Durban with guest appearances and performances by DJ Tira, TBO Touch, Emtee and Reason. 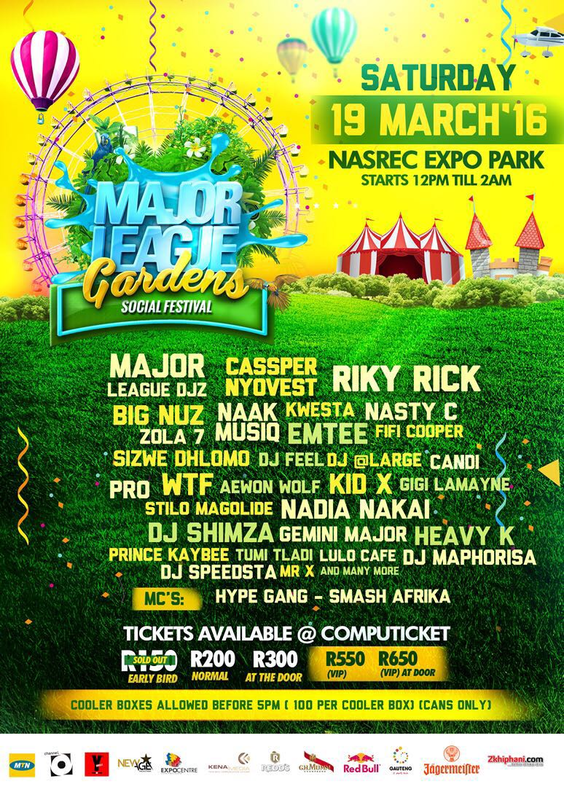 Johannesburg, South Africa – Major League organizers this weekend confirmed that early bird tickets for the quarterly social festivalMajor League Gardens sold out before even going to press last week. The upcoming event promises to have a star-studded line-up, outdoing its predecessors including a few expected surprises this time round.